Supplier and developer of advanced IoT technology, services and solutions. Do you want to connect your products to the internet? RAK has several modules and a high expertise of IoT technology, which can be a great solution for you. RAK is located in Shanghai and is developing and supplying advanced IoT technology and services. The company has rich experience in the industry of IoT, and it develops IoT Middleware and supply end-to-end IoT solutions to their customers. 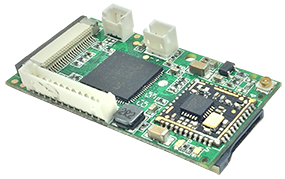 The RAK5206 is an intelligent video module with very low power consumption. It supports IEEE802 and integrates a peer-to-peer cloud server with strong NAT firewall traversing skills. The module has a rich audio output, SDI interface resources, multipath GPIO and PWM resources. It features peer-to-peer server technology, which enables remote control and video transmission through smart devices. Support Infra/Soft AP network types, Support Soft AP&EasyConfig one-click configuration, built-in web server, embedded P2P Cloud server to access via remote easier. RAK has worked with Nabto’s technology since 2014 and has integrated the platform in many IoT products currently on the market. This includes YongTong’s CloudRover and A-TEAM Venture’s Waggle. RAK’s team can assist you with all from hardware integration through mobile application development.